The potential damage the catering industry could have on our planet is huge, but we are committed to ensuring our customers can operate sustain-ably and can protect our environment for future generations. To support this commitment, we are now focusing on our new range of Eco-Friendly Catering Supplies and Bio-Degradable Catering Disposables. Selected from specialist manufacturers, these sustain-ably sourced catering disposables, food packaging and cleaning products help to reduce the impact our industry has on the environment. Why is it so important? Because end-users expect it. In fact, increasing numbers of hospitality customers only offer their loyalty to businesses that act in a responsible manner. Our mini-shop covers all the ideas and small changes that you can make today, helping your catering business to commit to sustainability and become eco-friendly. Bagasse is the fibrous matter left over from the production of sugarcane, a bio waste product that was typically just disposed of, it is being treated as highly valuable resource for creating compostable catering disposables. Palm Leaf is an increasingly popular alternative to plastics. Manufactured from fallen Areca Palm Leaves, the product is then cleaned, dried, stretched and flattened into plates and bowls that are 100% bio-degradable. Polylactic Acid is a bio-active polyester that is produced from renewable sources such as corn starch or sugarcane. Possessing the same highly transparent properties as plastics it is a 100% bio-degradable alternative. REPA is a non-toxic bio-degradable material produced from ground seashells that provides the same consistency as plastic. This makes it a perfect alternative and is highly popular in the production of bio-degradable straws. The appetite for single-use plastics is in decline, with the UK government pledging to eradicate the use of plastic straws and cups from the catering industry. With big national chains making the switch, there has been a great level of research into producing eco-friendly alternatives. Browse our range of Bio-Degradable Straws and Eco-Friendly Paper cups that are fully bio-degradable, free from petrochemicals and 100% Compostable. The use of harmful chemicals such as bleach in the production of paper napkins is something that consumers are becoming increasingly aware of. Furthermore, the number of felled trees required to make virgin paper napkins has an impact on forests worldwide. Replacing virgin paper with our selection of Recycled Paper Napkins is a great way to help the environment. 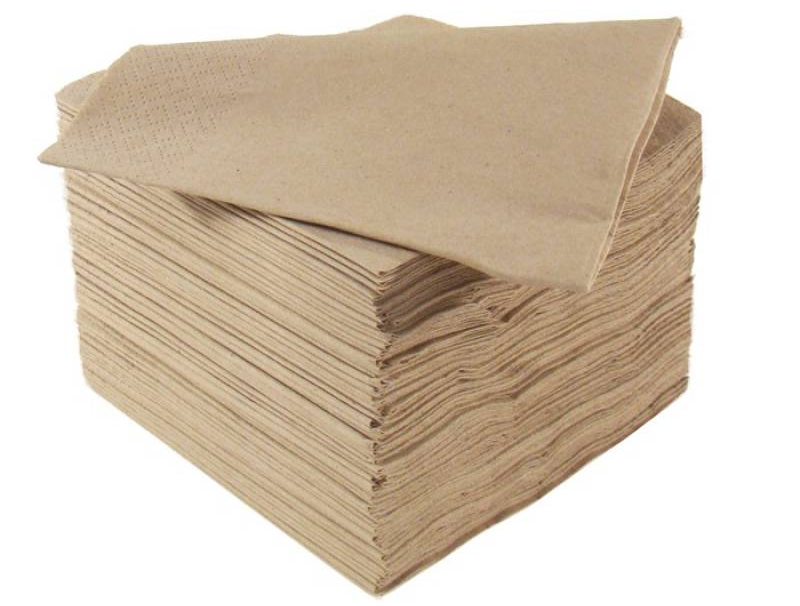 These strong, soft and absorbent napkins are 100% compostable for further environmental benefits. Businesses are commonly switching their take-away food packaging from traditional plastics and Styrofoam in favour of new materials such as PLA and Bagasse. These products provide the same functionality for caterers but are made from recycled materials, sustainably sourced and are Fully Bio-Degradable or Compostable. Featuring natural designs, our eco-friendly disposable plates and bowls are made from 100% natural ingredients and are 100% compostable for further environmental benefits. Mix and match with our other bio-degradable tableware, including cutlery, servingware, skewers & sticks.